If you’ve ever been to a Breakfast Records gig, chances are you’ve seen Jamie Cruickshank beaming in the front row like a supportive father. Or you might’ve seen him with his other musical endeavours, the slacker rock fronted Human Bones and let’s not forget the punk rock sound that is The Gnarwhals, enriched with the essence of the Tony Hawk’s Underground soundtrack. 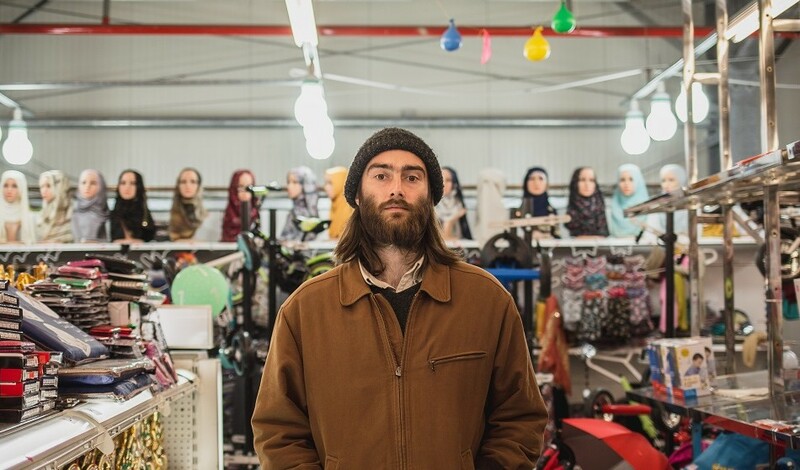 However Cruickshank’s solo work speaks a different language, woozy acoustics and dreamy folk soundscapes are his weapons of choice, ditching fuzzy guitars for a more sombre tone. His 5-track debut EP Worn Through covers themes of communication, family, nature and the hardships of living with a debilitating illness. Opening track ‘I Can See Totterdown’ was Cruickshank’s debut single, released in 2017 with rave reviews and support all over the city. A tale of two halves, it begins with sharp guitar strums alternating quickly and adding texture to his sincere lyricism. The latter half of the song sees a much more guttural performance; Cruickshank’s vocals now bellowing along with harsher guitar strums, echoing the themes of different means of communication within smaller circles. A glittering outro along with flourishes of cello weaved in between make for a stunning opening track which isn’t shy of a tune on Led Zeppelin III. The slow and slurred intro for ‘Loserville’ is instantly infectious, recorded in the depths of his struggles with Chronic Fatigue Syndrome. The guitar slide gives the effect of a lethargic waltz, ‘I’m on a losing streak’ are the opening words and we are hit with the defleatedness of his emotions. The chorus demonstrates his diverse vocal range which reverberates parallel to the soundscape he’s creating. A deft and telling tune which demonstrates a sombre vulnerability to Cruickshank’s songwriting. Third track ‘New Shoes’ is a jangly dream, a stripped back ditty filled with West Country charm and twang. Speaking of ‘New Shoes’ Cruickshank explains that the song “compares how we communicate to the way water moves through oil; bubbling and spinning into patterns. It is also about growth within your family and romantic relationships and personal…It ends with the line ‘I need new shoes – these are worn through’.” The song features angelic overdubs of backing vocals and a fuzzy guitar shred, adding a contemporary twist on the structure of a stereotypical folk song. Covering the complexity of Jamie’s personal growth, ‘In The Autumn Evening Swoon’ reflects to a more happier time prior to his illness. A hallucinating riff which repeats throughout whilst a scenic tour of an Autumn’s day is told with flairs of a violin adding warmth to the track. The line ‘I wanna go home with you’ being repeated like a sea shanty – only in a much more romantic way. Final track ‘Between Tall Grass And Sky’ is a vinyl only bonus track so there’s your incentive to pick up a copy of this stunning EP. Drawing lines between relationships, love and nature imagery, this is a sweet ode which can only be described as a modern lullaby. There’s a real celtic twang to this song. 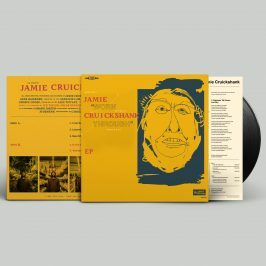 Cruickshank has released a collection of 5 mature and wistful songs, enriched with a deep love of folk and drawing influence is those that surround him. Worn Through will be released on February 1st with a launch show on the 2nd at HOURS Space, support will come from Emily Isherwood, Static Queen and Ellie Gray. A quadruple whammy of great music! Get your ticket here.